Dr. Tim Sharp (BM, MCM, DMA) is Executive Director of the American Choral Directors Association (ACDA), the national professional association for choral conductors, educators, scholars, students, and choral music industry representatives in the United States. He represents choral activity in the United States to the International Federation for Choral Music (IFCM). Sharp, himself an active choral conductor, researcher, and writer, has varied his career with executive positions in higher education, recording, and publishing. 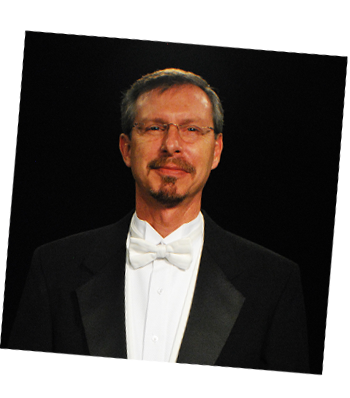 He is currently Artistic Director/Conductor of the Tulsa Oratorio Chorus in Tulsa, OK. Prior to his leadership of ACDA, Sharp was Dean of Fine Arts at Rhodes College in Memphis, TN, and earlier, Director of Choral Activities at Belmont University in Nashville, TN. Tim’s research and writing focuses pedagogically in conducting and score analysis, and various published essays betray his eclectic interests in regional music history, acoustics, creativity, innovation, and aesthetics. 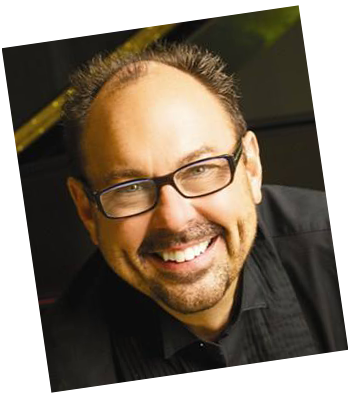 He has conducted university, community, church, and children’s choirs, and continues to serve as a choral conductor and clinician in the United States and internationally. Tim resides in Edmond, OK, with his wife, Jane, and daughter, Emma. Polytechnic Institute and State University, and Dr. John Locke at the University of North Carolina at Greensboro. He periodically serves as a band clinician and adjudicator in the mid-Atlantic region. Dr. Kerr is an active member of the College Band Directors National Association, The National Band Association, The Conductors Guild, The World Association for Symphonic Bands and Ensembles, and the National Association for Music Education. He has been selected by Who’s Who Among America’s Teachers for consecutive editions since 2000. He won the LU Faculty Recruiter of the Year award in 2001 and the Servant’s Heart Award in 1998. He has produced fifteen albums with the LU Wind Symphony, 15 Marching Band recordings, and 10 albums with the Jazz Ensemble. The Liberty University Wind Symphony has most recently recorded “Monuments & Cathedrals” (2017), “Wine Dark Sea” (2016), “Song of the Phoenix” (2015), “Frozen Cathedral” (2014), and “Mothership” (2013). The Liberty University Wind Symphony has demonstrated acclaimed performance levels, including performing at the 2008, 2012 and 2016 College Band Directors National Association Southern Division Conferences, by peer-reviewed invitation. Under Dr. Kerr’s direction, the Liberty University Wind Symphony has toured from Maine to Miami, and as far west as St. Louis, MO. Dr. Kerr also performs periodically in the Lynchburg area and weekly as principal trumpet for the Thomas Road Baptist Church Orchestra. Dr. Kerr and his wife, Martha, reside in Forest, VA.